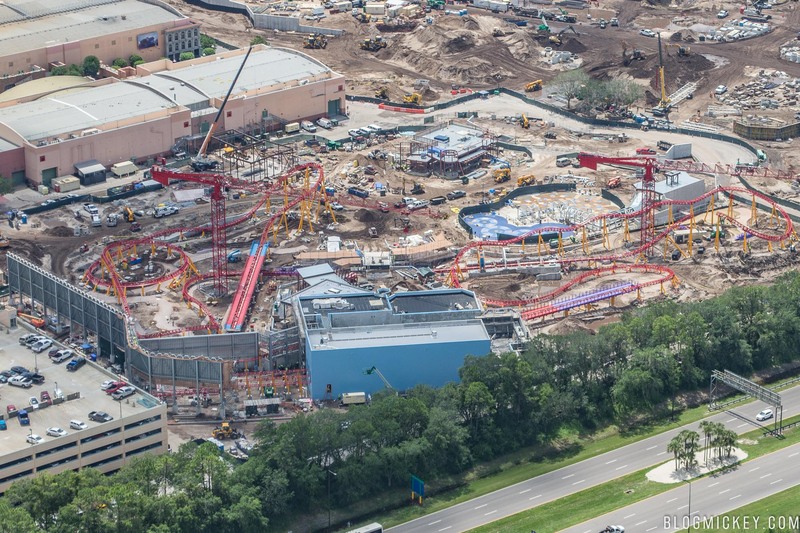 We took to the air late last week to take a look at the ongoing construction projects around property and first up is Toy Story Land. 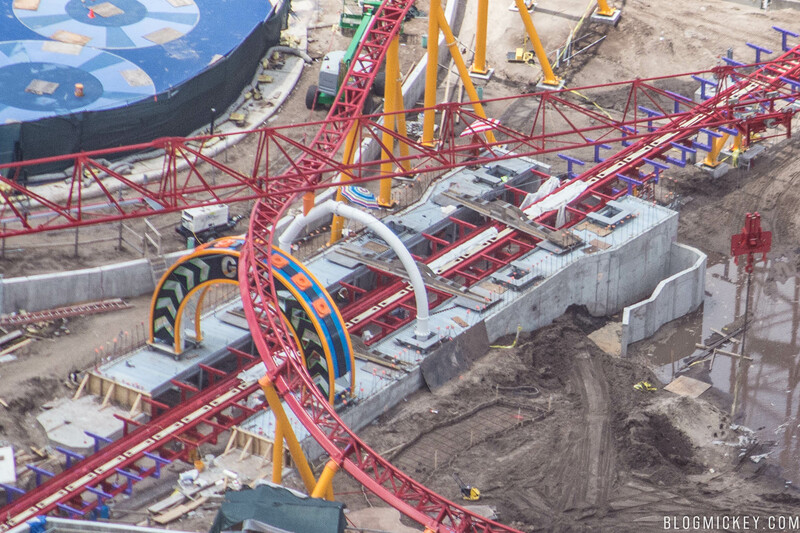 We noticed some theming elements are now visible on new attractions and an old favorite is getting a new entrance. First, let’s take in an overview of the land. 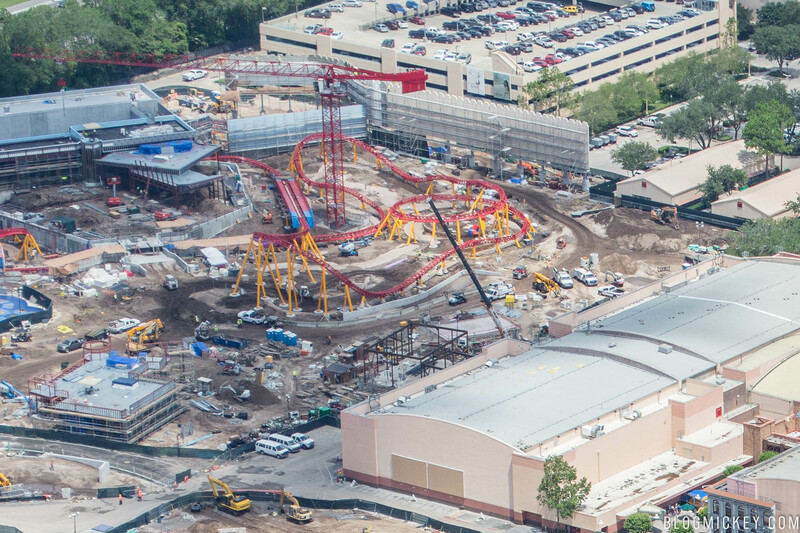 We can see that the two tower cranes are still on site as they finish the installation of Slinky Dog Dash, the roller coaster that weaves through the land. 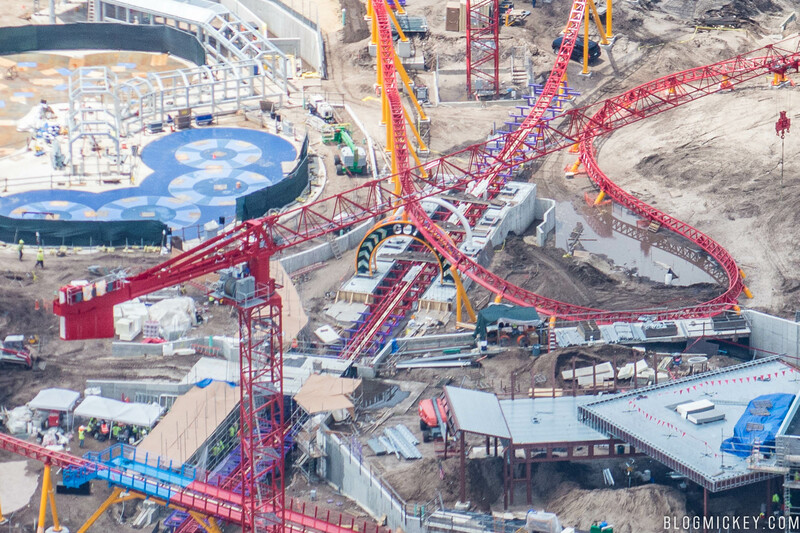 Let’s first direct our focus to what appears to be a new theming element for Slinky Dog Dash roller coaster. When finished, there will be four half circle theming elements that it appears we’ll be launched through in the second half of the ride. When we took our photos there was a final piece waiting to be installed. 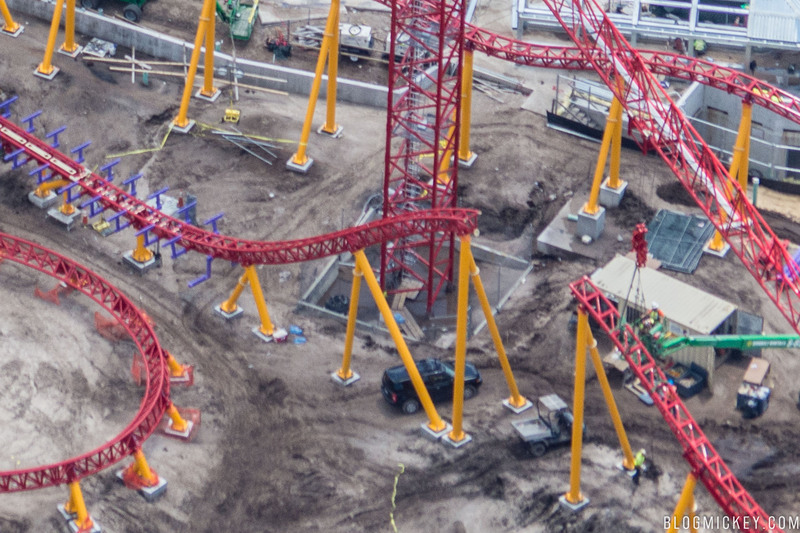 It was installed the next day and the track is now complete. 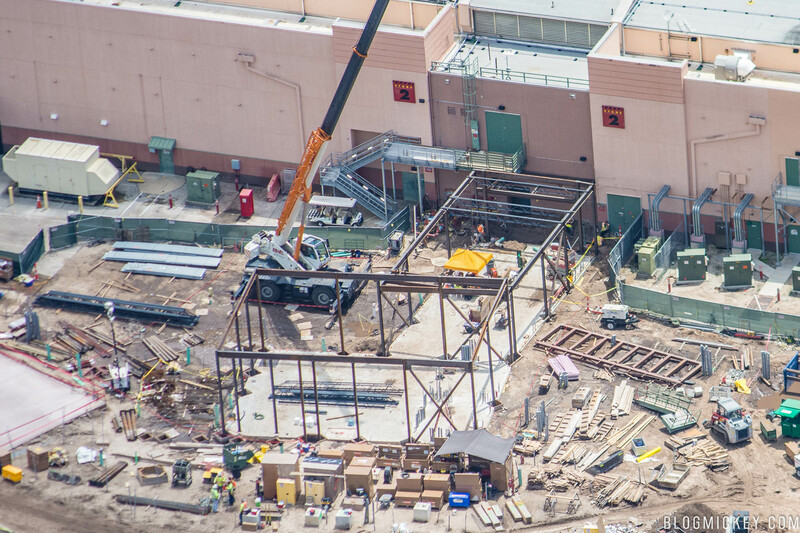 Shifting our focus to the rear of the Toy Story Mania building, we can see that the new entrance is now vertical. 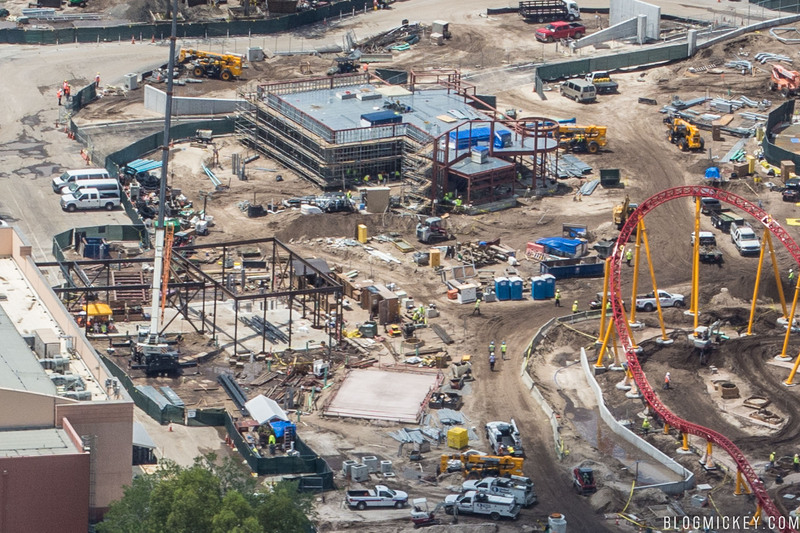 Other highlights of the land include Alien Swirling Saucers, which now sees more work on the queue. 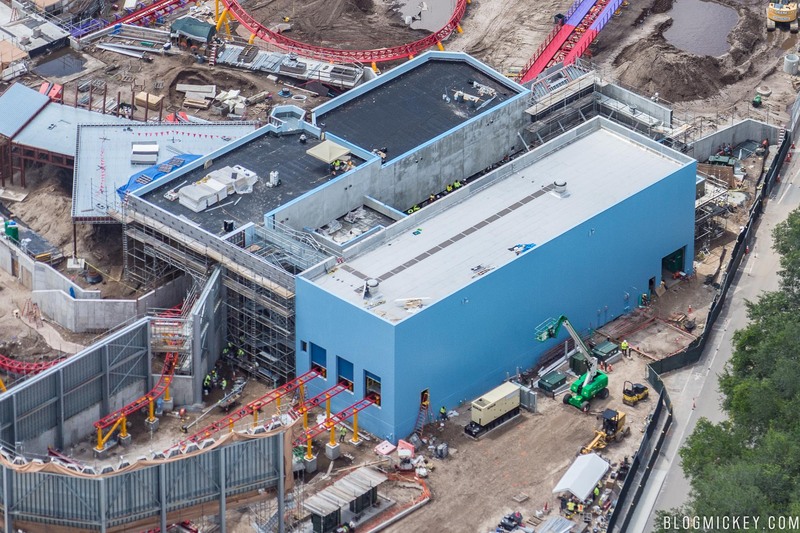 The building from where the queue starts is also new since our last aerial tour. 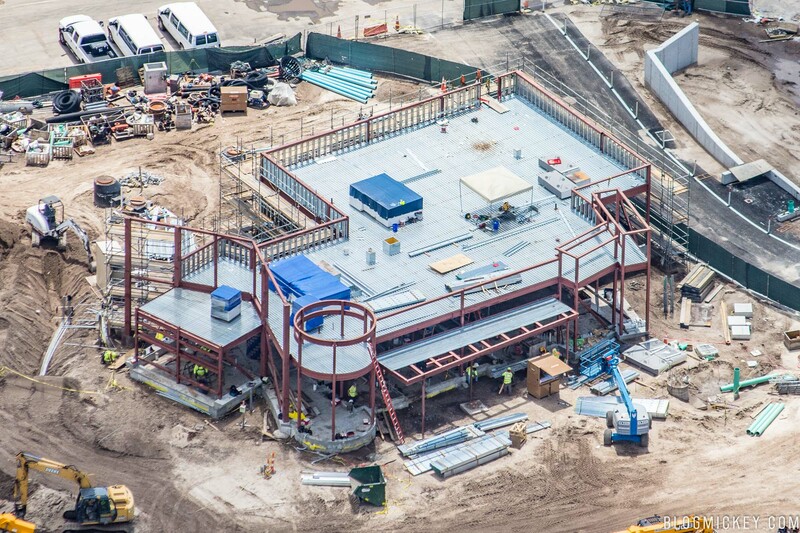 Modest progress has been seen on the building rumored to be a quick service snack window and restrooms. Just because we think it’s interesting, here’s the barn that will house the ride vehicles at the end of the day. It’ll be completely hidden from view once the theming of the land is completed. One of the questions we had when the land was announced was how would Disney hide the 5-story Cast parking garage that sits right next to the land. It appears a large white picket fence will be utilized, as seen in the background of the photo below. 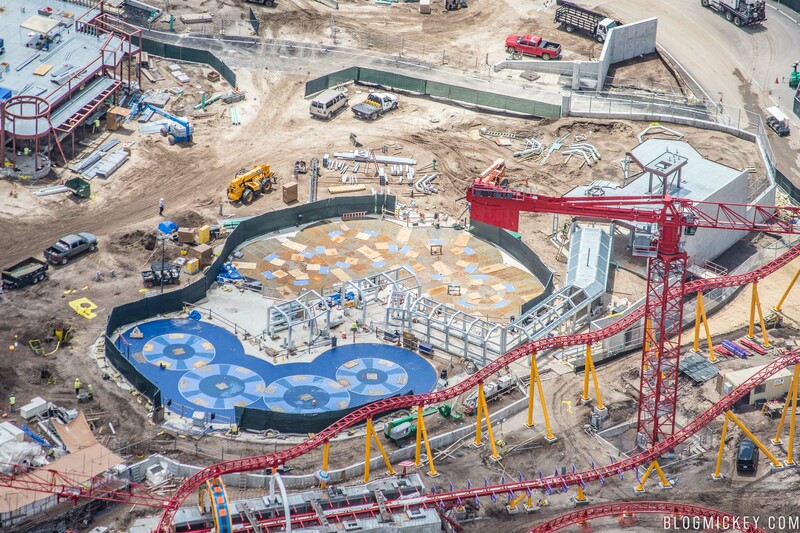 Other little tidbits include a foundation for a building next to the new Toy Story Mania entrance. 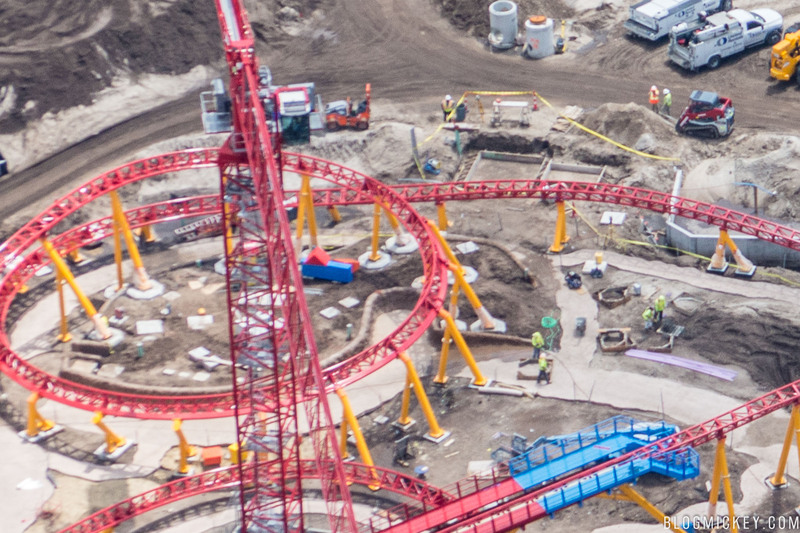 We also were able to crop in on a wide photo to spot a blue and red building block element. These building blocks will be scattered around the Slinky Dog Dash coaster to add some theming to the ride. Finally, let’s take a look at what we can expect the finished product to look like. 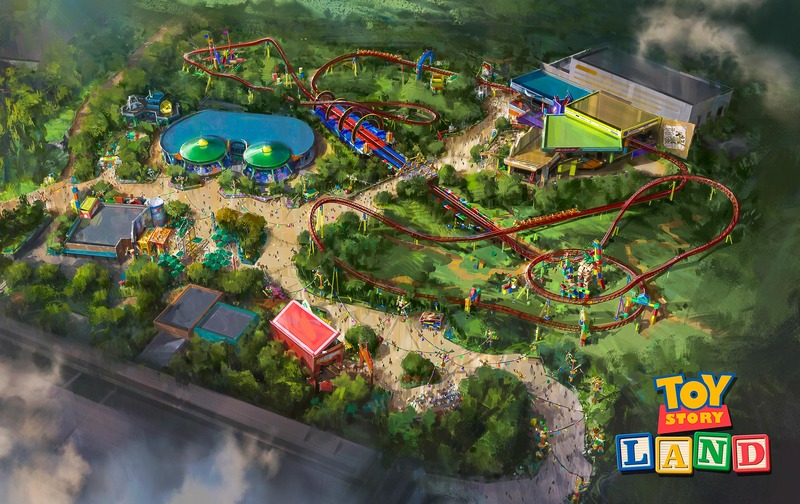 Toy Story Land will open at Disney’s Hollywood Studios in Summer 2018.